The process of buying a new gadget is full of traps and pitfalls. How much should I spend? Which model is better? Do I really need that much storage? And then, just when you think you’ve got everything figured out, the real boss battle raises it head: What color do I get? For such a simple question—and something that has practically zero impact on the actual performance of the device—trying to decide on a color is often a lot harder than it seems. 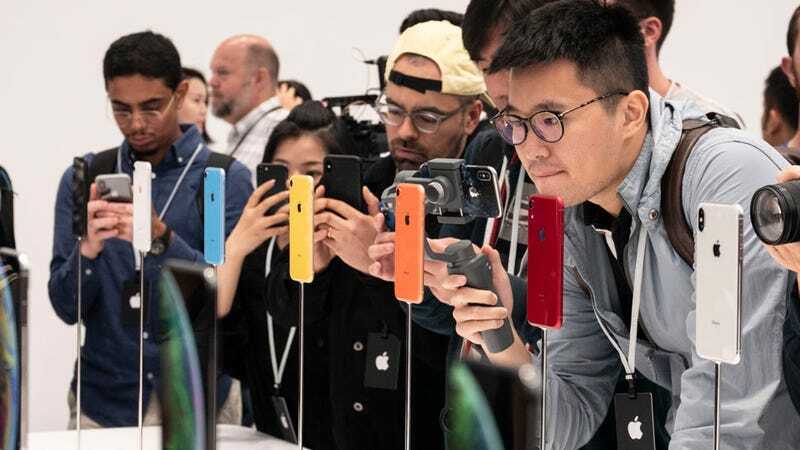 So to help demystify the process a little, scientists from USC Marshall conducted a study to see what kind of effect a gadget’s color had on its long-term likability. And the results? In short, don’t be scared; skip the black and silver and go with the hue or shade that really speaks to you. In their experiment, Eva C. Buechel and Claudia Townsend separated products into two categories: high-arousal devices (like those with intense colors or complex patterns) and low-arousal products designed with less stimulating colors like beige, black, or silver. From there, they performed a series of tests that involved asking participants to evaluate each product on things like predicted likability or irritation, and then again after participants had gotten a chance to actually use each product over varying periods of time. At the end of the study what the team discovered was two-fold. Not only did people incorrectly overestimate how irritated they would feel about products with high-arousal designs in the future, the study also showed that in situations where people chose devices with bright colors and intense patterns from the start, they also underestimated just how much satisfaction they expected a get from a high-arousal device after repeated use. Now, this doesn’t mean that companies need to start slapping all-over-print, wild designs, or neon colors onto every new device. But it does suggest that in general colorful devices do tend to make us enjoy the product a tiny bit more over time. This conclusion might sound kind of obvious, because for someone who already likes the color red, it sort of stands to reason that they would probably like a red phone or laptop more than a silver one. The concerning thing for me is that people’s tendency to play it safe with colors can become a sad, self-perpetuating trend where gadget makers don’t make colorful devices because people won’t buy them, and when they do, people don’t go for more interesting designs because they’ve become so accustomed to only having a couple boring choices. You can sort of see this in action when you look at laptops. For years, multiple major computer makers have told me that, especially in the U.S., black and silver are the only colors that perform well. Some attribute this to business professionals not wanting to distract others with loud colors while, say, attending a meeting, but that doesn’t explain the general dearth of colorful laptops. Thankfully, we’ve started to see that trend fade away in recent years with systems like the Surface Laptop (which is available in burgundy, cobalt, and gold, on top of standard silver), and various gaming systems, which often make up for using too much black plastic by cramming RGB lighting into every nook and cranny. And when it comes to smartphones, things are even better for people who want lots of color options, as Huawei, Samsung, and most recently Apple have added a wide range of alluring color variants to choose from. But what about cases? Won’t they just cover everything up? No biggie, just pick the colorful protective covering that suits your fancy, and if there’s some loud paint peeking out from behind the case, that’s probably a good thing. Either way, the takeaway is clear. Don’t be afraid to embrace something besides silver or black, especially if you’re already finding yourself pulled towards a unique and interesting hue.